How do you connect and interact with geocaching websites or apps when you aren't outside finding caches? Are there features that offer a new perspective, an unexpected laugh, bits of knowledge, or something helpful, inspiring, or entertaining? How do you keep up with your geocaching friends’ activity? What functionality would you consider essential to a logged-in geocaching dashboard (private profile)? *Please note: If you haven’t read the pinned post for this forum, please take a moment to do so. This thread will be open for one week. Mostly when I'm not outside caching I'm browsing these forums (as evidenced by the fact that I have 4 times as many forum posts as finds ). I also participate in 3 different local Facebook Geocaching groups (only one is really active, though), and have met most of those folks at events I have attended. Keeping up with my Geocaching friends' activities....I think that Groundspeak could improve this by making the Friends feature on the website actually do something. Like letting you know when your friends find or hide caches, for example. As it stands now all the Friends feature does is let you list your friends. If it would let friends keep up with each others Geocaching activities in an interactive manner, I believe that would be a neat feature that many people would like. Of course, it would also have to give you the option to make your activities invisible to your friends, or select which friends could view your activities. Sort of like Facebook, but more just about Geocaching. The Intro app needs some tweaking. There have been many, many threads about the issues with the Intro app so no need to go into detail here...I'm sure you are all aware of the complaints. Not requiring e-mail validation for new members, lame auto-log instead of coaching new members in logging etiquette, etc., etc. Not to beat a dead horse. Geocaching paid app....The one feature I would most like to see is turn-by-turn driving directions. Everything else works fine. Maybe make the "Add A Waypoint" feature a little more obvious....I've probably explained this feature a hundred times or so in the Forums because nobody can find it on their own at first. These are just the first few thoughts that popped into my head. I do appreciate that Groundspeak is soliciting our opinions. If I think of anything else I'll be sure to add it. Thanks for this forum. I think discussion is a great way to design features. How I interact: directly on gc.com, GSAK, email notifications from gc.com. I was predicting the value of mobile apps before they were released, but have not used them, having little inclination to acquire the equipment. And since I usually write long logs, I have no desire to log from the field. Of course that's just me. Keeping up with friends: with difficulty. The existing "friends" gc.com feature has almost no value, as I'm sure you know. I'd love to see a page of "what my friends have recently logged". Perhaps also an "email me what my friends have logged" feature, though this should probably be a daily/weekly/etc summary with a link to the full info, since a "watch my friends" feature which emailed me for every friend log would generate way too much email. Thanks for this forum. I hope it works out. When not outside, I use a windows PC running Firefox or an Android phone/tablet to access geocaching com to look at cache information. Big user of the maps, wish the left side pop-out was much smaller or configurable to be a single line across the top/bottom that we could click to turn on/off different things on the map. Also wish we could get directions on the gc maps. Occasional forum poster. I use the API a lot. Mostly with GSAK to plan, log caches, read cache pages, etc. I also access via the Android apps. I occasionally use the geocaching.com Android app but usually prefer other apps and don't use them much when not outside actually caching. I don't visit other geocaching listing service sites. I do visit local/state organization websites to see what's going one in areas close to me or that I will be visiting. How do you keep up with your geocaching friends' activity? #1 preference is in person at local events or out geocaching. I use Facebook and email to keep up with local and distant geocaching friends. I'd prefer that Groundspeak not spend time/money/effort on developing much of an internal social network but maybe work on OPTIONAL connections to the already developed popular social sites which could include notifications to people when you find something or want to ask for a hint for example. The key to me is optional. I want to be in full control of who sees what. I don't use the geocaching friends feature at all and am not really interested in getting notices on all the caches any of my friends find. Others will want this, just make it optional. Tough one. First, don't take anything away we already have. After that, I'd like to have more control and have the site remember more of my preferences and increase flexibility by adding user configurable preferences. Maybe things like, what I do/don't want to see on a cache page (background images, hints always encrypted/decrypted, the ability to set more locations than just home, more of the greasemonkey script capabilities built into the website so they don't break when something is changed at your site. iOS user. The intro app should NOT have a link to buy a premium membership. As evidenced by the many newbs wondering why they paid $30 and the app hasn't changed. I personally would like to be able to view more caches in the map on the app. It would be more effective when talking to new cachers. IMO the thing that gets people that "WOW geocaching is really a thing" is seeing the mass of caches there are. I know this really has nothing to do with the functionality. I've recently gone caching with a new cacher and she had downloaded the intro app. like I said the thing that seems to get new people the wow factor is seeing all the caches. Maybe if they see more caches, that may get them into it more, even if they still only get the three caches. Just by seeing what they could be doing, you now what I mean? I agree with the waypoint thing. Make it a bit more obvious. Set it up so it shows that when they use the app, it counts as logged in on the website. The whole, last log in 4 years ago, but found a cache yesterday has raised a few questions in the past. How do I keep up with my friends? Well Since the friends on the geocaching website has absolutely no functionality other than to show me the last time they logged in, it's usually in person. I personally see not reason to enhance this-you want a Facebook type thing, go to Facebook. See it in your newsfeed. YourFriend has found geocache XYH. Either lode the friends, or go bigger and better, with some actual functionality. Though some form of search, maybe in the form of a PQ for when people go out together. Maybe exclude finds by user ABC, where you choose any user. Or exclude finds by my friends, or something like that. And no auto logs. That just encourages laziness. Maybe a minimum character count. You see it all the time on profiles and such. I have honestly gotten logs that where random letters. I WILL continue to delete them. I personally wouldn't mind it if TFTC only logs where to be dis-allowed, if possible. I've also seen, both on the forums, and in person that people should be able to select which maps to use. This may be possible, but I've never seen how to do it. I also like the idea of turn by turn directions. We can get them from the cache page, why not the app? As for how I interact with geocaching, while not going caching, well like the first post, I spend a lot of time on the forums, and on the apps showing new cachers how it works. Totally looking forward to this new aspect of the forums. Hopefully it will be a cynicism free zone! To answer your questions.. I use the geocaching website in some form or fashion just about every day. Most of that time is spent on the forums, learning (from others) and laughing (probably at others). I also spend time solving puzzles, checking out interesting cache pages, and learning more bout the frequent posters that I see in the forums. As far as the geocaching app (I have an android device), I pretty much ONLY use this while actively caching. I will pop it up and see if there are any close if I'm in a new area, or have some time to kill. Otherwise, it's an active caching only app. I only have one "friend" on geocaching, and we interact far more in the "real world" than electronically. He travels quite a bit more than me, and it was fun to track his recent Ireland trip via his logged caches on the website. As far as a dashboard... I'm trying to think out of the box here. I don't use my profile on the website for much, I don't suppose. It would be handy to have access to more of your user profile through the app, maybe. What events are <1 month away in my local area? How many people have signed-up so far? What caches have been placed recently in my local area? How many finds, DNFs and favourites so far? Quick links to forum topics I'm watching, plus an indicator by each of recent activity levels. Oh, and speaking of how do I interact with Geocaching....I most often browse and post in the Groundspeak Geocaching forum with my iPhone and not sitting in front of a computer (although I am at the moment). So I like that the Forum has a mobile version, and it functions well. I generally check the forum several times a day. How do you connect and interact with geocaching websites or apps when you aren't outside finding caches? I come in to the website from a desktop. Usually I go to my profile page. I find the current profile sufficiently useful. I might rearrange some things for my personal preferences, but as a general layout, I'm fine with it. Most of the time when I'm in my profile, I look at either a recently logged cache or a recently viewed cache, but there are a few other links I use fairly regularly; the ones that come to mind are PQs, forums, and the map of unfound caches at my home location. Generally I keep up with my friends outside geocaching.com. Once in a while I browse one or another's recent activities, and the current approach of going to their profile through my friends list works fine. The one thing I can think of that would be very useful is if, when viewing the map, in addition to leaving out my finds, I could leave out one or more of my friend's finds, too, seeing only the caches neither of us have found. I'm not sure how to approach this question since generally web "dashboards" end up being flashy but useless. In particular, "gauges" look cool, but there are no gauges about geocaching that I'd be interested in on a daily basis. I'm more interested in the things the current profile provides, such as caches I've had something to do with recently and places to jump off to invoke other features and lists. I've been geocaching for more than 8 years. I'm a member of a couple geocaching-related FB groups. I don't post often, but I read and comment on what others post. But I don't always keep up with FB, so it's best for low-priority information. 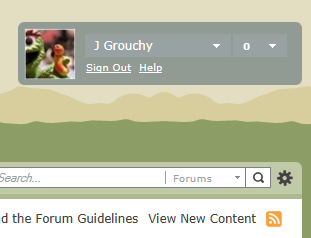 I participate in both a local forum and in Groundspeak's forums. I read almost all of the subforums of our local forum, and just a handful of the subforums here. I connect to geocaching.com to prepare for geocaching trips (scheduling PQs, viewing/solving puzzles, scanning the map to better understand the caches that are around, etc. ), to post online logs using my field notes, to view my stats, to maintain my lists (Favorites and otherwise), to find/email another player, or to research the Help Center or other resources (either for my own interests, or more often, to answer a question in the forums). I've contributed to a couple geocaching-related wikis (mainly Cacheopedia). I connect to Neongeo to preload cache data before a geocaching trip and to upload field notes after a geocaching trip, but most of the time I'm using it, I'm outside finding caches, which is off-topic for this thread. Mostly via in-person conversations at events and unevents (gatherings not listed on geocaching.com). Trip reports on the local forums or on FB are nice sometimes. Quick access to field notes, current status of owned caches, lists (Favorites and otherwise), PQs, recent logs, links to all logs, TB inventory, maps of caches near home/work/whatever, contacting other players (especially friends), profile/account details, and other site resources (e.g., Help Center, Geocaching 101, guidelines). It would be nice to have quick access to recent posts in all the subforums that I follow, without the clutter of the many, many more subforums that I do not follow. It would also be nice to have access to planning tools for group trips (e.g., a way to view caches not found by anyone in a group of friends, or to view caches not found by at least n members of a group of friends). I generally access the site via one of my Macs. The only time I access it via my phone is when I'm in the field and I want to see the cache page, to see more information than is available in Neongeo (e.g., the image gallery or the older logs). The one feature I would most like to see is turn-by-turn driving directions. I really like Neongeo's ability to link to Google Navigation, and I can do this with either the cache's posted coordinates or with a parking waypoint. To me, this makes much more sense than trying to reinvent the wheel. Especially since there are other navigation apps, and if you correctly link to a navigation resource, then the user can use his/her preferred navigation app. It would be nice to have a convenient reminder of which events I've posted Will Attend logs to. But ultimately, I prefer to add events to my personal calendar. This would be easier if the "Add To Calendar" links on the event pages included the time of the event, instead of just the date. But that would require cleaning up the time-handling system on the site, which we all know needs a rather substantial overhaul. And it would be really nice to control the search radius for "nearby" events. I want upcoming events sorted by date (as they are in the newsletter), but I really don't care about events 100 miles away. Actually, I usually don't care about events more than about 20 miles away. I do care about events a month or more in the future, but currently they're crowded out (on the newsletter) by the distant events that are coming up sooner. So if there is an event list of some sort on the dashboard, it would be nice if it were more usable and customizable than the newsletter list. I've been on geocaching.com since October 2005, but "stash hunting" since 2001. When I'm at home, I only use my computer on geocaching.com or the forums. My phone (iPhone) has become my goto paperless geocaching device, but I still have my Garmin Legend Cx for when the phone batteries go dead. Really, I find the website to be the most polished, easy to use, and best resource for searching for caches, logging, and learning. I only use the App when I'm not at home, and haven't really gotten into the functionality of the paid iPhone app for queries. I'm more likely to "save search area" than try to navigate throught the unfamiliar process of loading a query on my phone. For geocaching friends' activity, I talk to them. I email them. I call them. I don't use the friend function much, but I do use the contact form if I am communicating with someone who isn't in my addressbook yet. Once I've corresponded with someone enough, or talked in person, they are added to my phonebook and email contact list. Facebook groups help too, but not to find people outside of my own area. I use the GeocacheAlaska! facebook group to announce things, learn things, or see what others have been up to. Anyway, I'm on the forums a bit more than some of the old usual suspects, but there are still familiar faces. The forums for GeocacheAlaska! have pretty much died as well. Most of the talk is on facebook, but even that isn't discussions about help or "how do I?" like you get here. Facebook is more navel-gazing and high-fiving. The forums are where real discussion happens, and things get talked about. I really wish there was a way to get more people here to participate. But, alas, the chatrooms and forums are no longer ala mode like back in the late 90s and early 00s. Second the motion! I would like to see events in the newsletter by distance, not time. Yes. Providence, Rhode Island is only 175 miles away. But, I'm not going there. I ignore the events on the newsletter because of this. List the events by distance, not by the nearest date. which starts off with all the possible content panels, and lets you customize which ones are visible and how much content is shown. This exists, at least with the Android app. 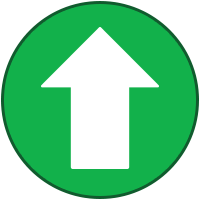 When navigating to a cache, just select the right turn sign at the upper right. On & off for 7 years. I use the Geocaching.com and its related sites (Wherigo, forums, etc.) exclusively on my computer at home. In those rare times I want to 'keep up with friends activity', I call or visit with them. I can not think of one time I have ever contacted a friend through the GS website. A customizable dashboard page, where I can adjust the size of the portions I need and eliminate those which I don't use would be great. At the same time, I see absolutely no need to change what is there now. So just a throwing this out... On my phone I've got a calendar. When I link to Facebook it shows me upcoming events, birthdays on the calendar. Presumably it could also do this when I link to Google or something else. So.... Why not have all of our "will attend" logs link to that as well. If it's simple, I don't see why not. If it's actually quite hard maybe something to put aside in favour of other stuff. I've been geocaching for about 2 years and 4 months. I use the geocaching website to plan caching trips, read about new caches, read about interesting caches, read logs and see if my friends have found any new caches. I use the app only to read new logs and see spoiler pictures when out caching, never at home. I use a lot of different tools to assist in planning, like GSAK, Project-GC and a geocaching trip planner I've developed myself. The map is one of the most important parts of the geocaching website for me, so it's important that it works. Sadly there's still some issues with it. The single biggest source for unexpected laughs are the log book. I would really like to see a function where users can give a log a thumbs up, and in that way let log writers know they've written something good. I'm a member in several local, regional and national Facebook groups, but I also talk to my geocaching friends quite often (daily). For keeping track of activity, simply visiting their profile also works well. Limit the number of logs showing under "Your Logs (Last 30 Days)"
This is my "main page", whenever I open geocaching.com in my browser, this is the page I open. This is my fourth year geocaching. > How do you connect and interact with geocaching websites or apps when you aren't outside finding caches? Usually using a desktop - a Mac with Opera as my standard browser because plugins work better with it and google satellite view is more effective. I use the map view almost exclusively to look at caches, including to log them. Because I usually don't use any form of GPS device I'll work out routes, record cache details and so on using the maps and satellite views. The links to google maps from cache pages get a lot of use. I do use an iPad sometimes, but find that less helpful for looking at caches. Very occasionally use an iPhone and sometimes the official app when I'm at home - usually I'd use that if I were about to download a bunch of cache details to take out with me on the rare occasions I know I'm going to borrow the phone and take it out caching. I've never downloaded a GPX (or whatever they're called) file from the website. > How do you keep up with your geocaching friends’ activity? I don't really. I tend to be more bothered about what I'm going to do - I'll occasionally look at someones finds if I seem to be doing a lot of similar caches to them and enjoy their logs and sometimes look at Project:GC maps to do the same thing. What might be useful would be to be able to look at which caches someone has given favourite points to. > What functionality would you consider essential to a logged-in geocaching dashboard (private profile)? To be honest I rarely use my private profile - my public one is so much more useful to me. I don't make lists and, as a standard member, don't really have access to a lot of the functionality that's there. I'm not sure that I can think of anything I'd use it for other than to be able to create a set of links to pages (both on and off this site) that I'd want to be able to visit regularly. If I want to know anything about caches I've found I use my own record keeping system or Project GC. I have been geocaching since Jan. 2007. I completely agree with ChileHead, and in fact, proposed something like this at various times on the forums. Like many others I have the "my profile" page bookmarked as the entry point to the site. All the content under the "Your Profile" heading, split into two columns, is basically a "block" (e.g. Favorites, Search Options, Premium Features). I would like to be to hide/expose each block or rearrange the blocks (for example, put Premium Features at the top in the right column). Each block could also be "configurable". For example, I might want to hide the "View Nearby Benchmarks" from the search options block. I'd also like to be able to configure the "Recently Viewed" and "Your Logs (Last 30 days)" to that I can manage the number of results. I don't get out to find caches that often so quite frequently my "Your Logs (last 30 days)" section might only have a couple (or no) items. As a result a good portion of the "real estate" on the page is empty. How about making the "Quick View" section of links customizable? Let users manage what links are there (from a select list, perhaps). Maybe I don't want the "Trackables Collection" link but would like to add a link to the Guidelines page. I would love to respond, but right now I just don't have to time for this much detail. I will say, however, that each of these questions should be split into separate topics of much more specificity for more focused discussions and better clarity. Broad, open-ended, multi-point topics will get confusing quickly and will go off on so many tangents it will be difficult to reign it all in and make sense of it. I'd actually like to see a notification functionality...particularly pertaining to cache notifications. I'd love it if Groundspeak eventually got away from HAVING to send email notifications unless specifically asked for by the user and instead allowed for in-app and on-site notifications similar to what you already have up there in the top right corner of everyone's browser when they are right here in the forums. Geocaching for 6 years now. Firefox on my desktop and Geoget for offline work and storage. Nearly everytime I come back to gc.com I open the "Your friends" page to see their new finds. I am usually interested in their new adventures so I go for their logs. But as of today one has to open particular cache page and scroll down to see his friend's log. Well, it might be enhanced a little using scripts like GC little helper, but anyway - why not to save us some time and show our friends last logs on the Friends page? Would be also great to adopt a feature from GC little helper which shows us finds increments right next to the find count of each friend so one can quickly know who has been recently most active. BTW "logbook" - why isn't it the default way of displaying logs and is hidden behind a link instead? You mean "Your account details"? I use this rarely, don't have any special ideas. Geocaching for 4 years now. I frequently put and keep caches I'm interested in on my watchlist so get most of my news via email, which reduces the amount of time I might spend logged into the website quite considerably. I will often view newly published caches in the geocaching app though as I like the interface and it's handy for getting an idea of where they are on the map - even if the view does start out massively zoomed out of the area I'm actually in and I have to pinch-zoom like mad to get a useful view. If the notification email included a hyperlink to quickly add a cache to my watch list I would use it. If the app included the ability to quickly add a cache to my watch list I would probably use it more than I currently do. Hardly ever access the Friends page on the website - nothing of use on there. Usually if I want to see what someone's been up to I'll access their profile and drill down into their finds from there. Off the top of my head, I can't think of anything I would add at this moment in time. I use Geocaching.com, mygeocachingprofile.com, and GSAK. To see my friends stats I look at their Geocaching.com profile, although I don't closely follow any of them. Thanks so much for all the great responses, everyone! We really appreciate your sharing of thoughtful insights with us. These two threads have been incredibly helpful and constructive, thanks so much for staying on-topic and really giving us some great condensed information. Look for more topics like these in the future! Closing this thread to further comment now. We will be compiling everything that we have heard from you to help guide us in the development process.